Free Live Video Information Session on Insect Breeding.... What Question Do You Have? Have you tried to breed crickets and failed, or thought it was too hard? Or would you like to breed cockroaches more efficiently, with less cleaning, feeding and escapees? We can help you get on the right track. Our systems are different….we have spent 13 years developing new commercial and private breeding methods that have slashed maintenance, eliminated offensive odor and significantly increase production. You can now breed feeder insects with less time than standing in line at your pet store buying insects. The main purpose for the session is to help you get the right information to become independent insect breeders. This has helped me pursue my passions (Reptiles, Wildlife Rescue, Wildlife Projects) so I enjoy sharing information and experience. We will give you an overview of our systems (Breeding, Container Design, Maintenance and Feeding), however the specific detail of how to build our proprietary systems can be obtained by purchasing our books and videos. There is no obligation at all to purchase the books or videos. 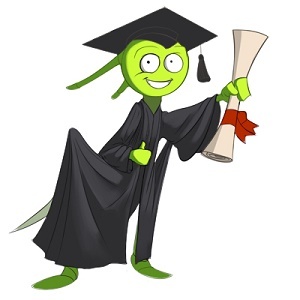 We do offer a 20% discount for those who attend the information session. Information sessions can be done as: 1) Skype session at a Groups General meeting (via laptop, TV or Screen), 2) Skype session at a designated time (from home) 3) Facebook Live Video feed. Message (if on social media) or email me to organize a session. Times for the session are flexible between the times 9:30am to 10:30pm Australian Eastern Standard Time (AEST), depending on availability. 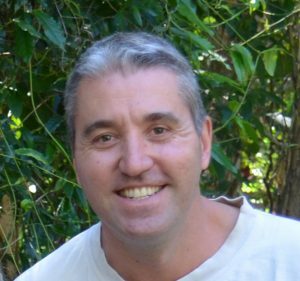 My name is Glenn Kvassay, I am the founder of WildlifeHub.com and the author of “The Complete Cricket and Cockroach Breeding Manual”. Wildlifehub is a site dedicated to training people how to breed feeder insects and has free training courses, book, videos and offers consultancy. I have been breeding and training people how to breed crickets, cockroaches and mealworms both commercially and privately for 13 years. We started breeding insects to reduce costs associated with rehabilitation of injured Quolls (marsupial cat) and reptile keeping, but then starting selling excess stock to Zoos, Pet Stores, Wildlife Rescue and the General Public. Our Insect Breeding Systems have been used around the world to set up private and commercial insect breeding farms. We also provide a consultancy service for commercial production. That’s over $1400/year cash you are currently throwing away!!. We have lots of articles on our website or videos on our YouTube channel for you to look at. Our books and videos are the most complete and comprehensive on the market. For example, the Cricket book is over 130 pages in length and includes "Step by Step" instructions in conjunction with more than 220 photos, tables and diagrams. 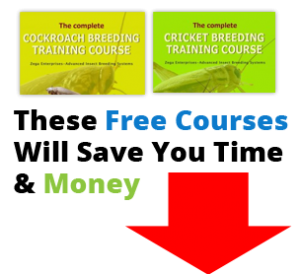 Our cricket books also include videos on how to build our cricket breeding system for private production (or small scale commercial). For more detail of our products click here. 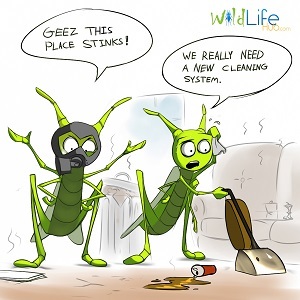 Please feel free visit our website at http://wildlifehub.com/feeder-insects/ to view details of our systems or to sign up to Free Training Courses (see link below). If you like our sessions or think others would also benefit, please let others know via social media or word of mouth.